When Professor Juzo Kabuto built the super robot Mazinger Z he envisioned a world protected from the forces of Dr Hell and his mechanical beasts by this, his ultimate invention. 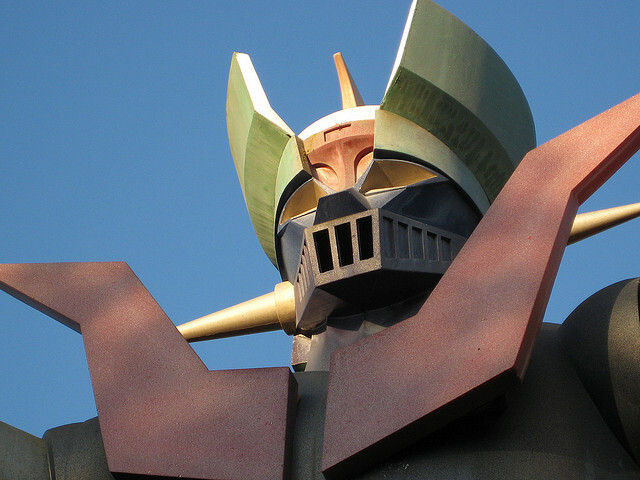 Made from Japanium (found only on the slopes of Mount Fuji) Mazinger B’s sheer size and power would defend humanity against evil for generations. He never imagined that his gargantuan brainchild would end its days in an unfinished suburb of a quiet Spanish town, rooted to the spot and silently, gently decaying.